First foal from millionaire Grade I winner Halo America was a $1.8 million KeenelandSeptember yearling purchase in 2001 by Demi O’Byrne for Coolmore. Marino Marini won his 2-year-old debut in April at the Curragh and the Sara Lee Marble Stakes a month later. He was also second, defeated less than a length in the Grade I Phoenix Stakes defeating Storm Cat‘s European champion 2-year-old Hold That Tiger and third in the Norfolk Stakes (G3) at Royal Ascot. Winner of his first start at 3 in the U.S. at Hollywood Park, Marino Marini then was second in a head decision to Southern Image at equal weights in his dirt debut, the Grade I Malibu Stakes where he defeated nine graded winners. Retired with earnings of $294,384, Marino Marino earned more than Van Nistelrooy, a Group 3 winner and Storm Cat’s most expensive yearling of 2001. Total progeny earnings over $11.4 million. Average per runner over $41,000. Over $11.4 million in lifetime progeny earnings and almost $42,00 average per runner! SWEET MARINI (2010 f, by In Excess (IRE)) In US, 5 wins 2 to 4, $411,668, 1st Fleet Treat S.-R ($117,200, DMR) $200,000, 2nd Santa Monica S. G2, 2nd Melair S.-R ($47,500, BHP) $245,000, 2nd Betty Grable S.-R ($19,000, DMR) $100,750, 3rd Rancho Bernardo H. [G3] ($150,000, DMR). NTR 5.5 furlongs Los Alamitos Race Course. MARINO’S WILD CAT (2009 g, by Dayjur) In US, 11 wins at 3 and 8, 2017, $351,941, Lost in the Fog S., Harris Farm S.-R ($60,050, FNO) $100,250, 2nd Oakland S. ($13,000, GG) $55,070. SHUDACUDAWUDYA (2007 g, by Cutlass Reality) In US, 9 wins, 2 to 5, placed at 8, $337,639 (US SSI = 5.26): 21. 1st Jess Jackson Owners’ H. ($41,450, SR) $66,350, 1st Albany S. ($39,300, GG) $65,260, 1st Golden Nugget S. ($39,000, GG) $62,900, 2nd Oakland S. ($13,000, GG) $65,280, 3rd Sam J. Whiting Memorial H. [L] ($9,000, PLN) $75,000, 3rd Stuka S. [N] ($7,956, HOL) $53,500. STARLIGHT MAGIC (2009 f, by General Meeting) In US, 4 wins at 2 and 3, $334,900 (US SSI = 9.32): 10. 1st Fleet Treat S.-R ($110,000, DMR) $200,000, 1st Robert H. Walter California Cup Juvenile Fillies S ($60,000, SA) $100,000, 2nd Evening Jewel S.-R ($38,000, SA) $200,000, 3rd Melair S.-R ($33,000, BHP) $288,000, 3rd Torrey Pines S. [L] ($12,000, DMR) $100,000. MONEY LOVER (2006 f, by Unbridled) In US, 3 wins at 4 and 5, $159,706,1st Alphabet Kisses S. [N] ($36,000, HOL) $60,400. GREGOR (2008 g, by Dixieland Band) In US, 5 wins at 2 and 5, placed at 8, $132,682 (US SSI = 1.03): 40. 1st Inaugural H. [N] ($21,000, SRP) $35,000. JEFF and J’S DREAM, 2 wins, 3 to 4, 2017, $67,630, Owners’ Appreciation Day S.
ROCK N BUNNY (2011 f, by Flying Continental) In US, Winner at 3 and 4, $52,411 (US SSI = 0.69): 20. 1st Westminster Starter S. [N] ($18,000, LRC) $30,750. HOT FUSION (2007 g, by Out of Place) In US, 7 wins, 2 to 4, $44,062 (US SSI = 1.14): 12. 1st Elko County Thoroughbred Futurity [N] ($12,880, ELK) $28,000, 1st Elko County Thoroughbred Derby [N] ($8,280, ELK) $18,000, 1st Norm Goeringer Memorial S. [N] ($5,600, ELY) $11,200, 1st Governor’s S. [N] ($2,400, ELK) $3,840, 2nd Stars and Stripes S. [N] ($1,156, BOI) $5,100, 3rd Governor’s Cup S. [N] ($726, BOI) $6,050. MAHOGANY RUN (2010 g, by Slewpy) In US, 3 wins at 4, $31,305 (US SSI = 0.74): 12. 1st C. J. Hindley Humboldt County Marathon H. [N] ($12,050, FER) $20,715. 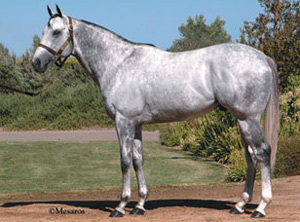 SILVER SENSATION (2008 g, by Buckaroo) In US, 5 wins, 2 to 7, $27,470 (US SSI = 0.47): 15. 1st Elko County Thoroughbred Futurity [N] ($11,040, ELK) $24,000, 3rd Elko Thoroughbred Derby [N] ($1,650, ELK) $15,000, 3rd Boise Open Derby [N] ($718, BOI) $4,900. Bleach Blonde (2007 f, by Beau Genius) In US, 7 wins, 2 to 5, placed at 6, $316,358 (US SSI = 2.46): 47. 2nd Luther Burbank H. ($13,100, SR) $60,400, 2nd Luther Burbank H. ($13,050, SR) $55,900, 2nd Golden Poppy S. ($12,000, GG) $60,000, 3rd Harvest S. ($7,850, STK) $68,250, 3rd Corte Madera S. ($7,800, GG) $64,400. With his 12th crop to the races in 2002, Storm Cat led North America’s Juvenile Sire list, and Marino Marini was among the eight 2-year-old stakes winners to contribute to Storm Cat’s eighth sire title in eight years. To date this phenomenal crop of 85 foals has produced two champions, 17 stakes winners and progeny earnings of $9.8 million. Arran Pilot, The Lord, Night Speed, Clann a Cougar, Irrawaddy.